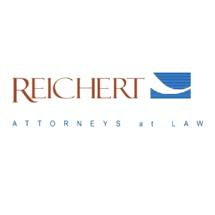 At Reichert Law Office, we provide experienced criminal defense, personal injury and family law representation in Grand Forks, Fargo and throughout the state of North Dakota, as well as in Northwestern Minnesota. Allegations of criminal offenses can have a life-changing impact on you and your family, and may even put your whole future in jeopardy. Knowing how much may be at stake, we are passionate about helping you achieve the best possible outcome to your legal issues. Facing criminal charges is always a serious matter. Our attorneys will sit down with you during a free consultation to help you to understand the charges and your options. Then, our aggressive trial lawyers will develop a robust and comprehensive defense for you. Whether you have been charged with misdemeanor or felony offenses, the attorneys and staff at our law firm will stand by your side and vigorously fight to ensure your rights are upheld. In addition to criminal defense, our lawyers have helped clients recover millions in damages fin personal injury claims. We have helped victims of car accidents, trucking accidents, medical malpractice incidents as well as slip-and-fall injuries. Anyone dealing with criminal charges, personal injury, divorce or family law issues can depend on the attorneys at the Reichert Armstrong Law Office for guidance and assertive representation.